Essential Practice #1: Deliberate, research-informed efforts to foster literacy motivation and engagement within and across lessons. Do your students LOVE reading? Do they beg to keep reading when reading time is over? No? If your students are struggling with stamina, they may not have "the right" books in their bins. 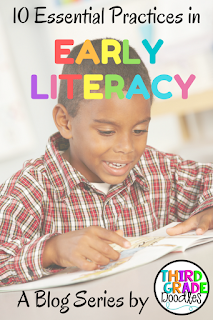 This post outlines some strategies to help your students to find books that will tickle their fancy and keep them reading long after the required "20 minutes" is up. 1. KNOW your students and their interests. If you want to match books to readers....you have to KNOW the readers...as individuals. It is well worth the time it takes to get to know each of your students on a personal level. Obviously, this helps to build a rapport and a relationship based on trust and mutual respect. But, it can also give you the key to finding books that they will love. Ask questions, show an interest and listen intently to what they tell you, and also to the things they talk about with their peers. Ken Goodman used to call this "kid-watching", and it is a great way to learn more about your students. I also like to give my students different reading interest surveys throughout the school year to keep up with their changing likes and dislikes. Just google "Student Interest Survey" and you will find several good ones. 2. Encourage peer collaboration around books. Provide structures for your students to dialogue about books and to recommend books to one another. Give them lots of opportunities to write book reviews, give book talks and list recommendations to their classmates. I can really relate to this one as a voracious reader....if my friends are raving about a book, I am on Amazon ordering it that same day. Powerful. A teacher I know has a very simple chart posted all year...it is a running list of book recommendations by the kids in her class. They write their name, and then the name of the book. Someone is always standing in front of that chart, looking to see what books their besties have read. Powerful. When you have an idea of the types of books your students are interested in, create sets of connected text. For example, a collection of grade-appropriate fiction and nonfiction texts about dogs or with dog characters. Students who love dogs will gobble up every book in the set. Reading ladders are a way of nudging students into more challenging text through highly engaging reads that build upon a student's interest in a text. You can create these for individual readers, or create generic ones that your students can choose. What is going on the world and what are you studying in your content areas? Students love books that help them to connect to what they are studying and to real-world issues and events. I mean, don't you?? It is also nice to have a variety of reading material available, including newspaper articles, magazines, comic books, encyclopedias, and poetry. Invite students to bring text from home and share it with their peers. This can make for a great home to school connection while also providing some new text to the classroom. Project-based learning is a great way to increase reading engagement and give students an authentic purpose for reading. Give students the opportunity to identify problems in their community (or school) and then find ways to solve those problems by reading and doing research. Provide students with books, articles, websites and blogs to guide their inquiry...and then sit back and watch them read, read, read!! 6. Check-in with students regularly. Many young readers are not yet experienced at making good reading choices. They need your help. Most teachers give students multiple opportunities to "shop" for new books during the week, but then don't take time to talk with them about their selections. If students haven't put adequate thought into their selections, they are set up to be disengaged during reading time. Try to meet with each student once each week to confer with them about how things are going. During this time, talk with them about their book selections and give them guidance as needed. 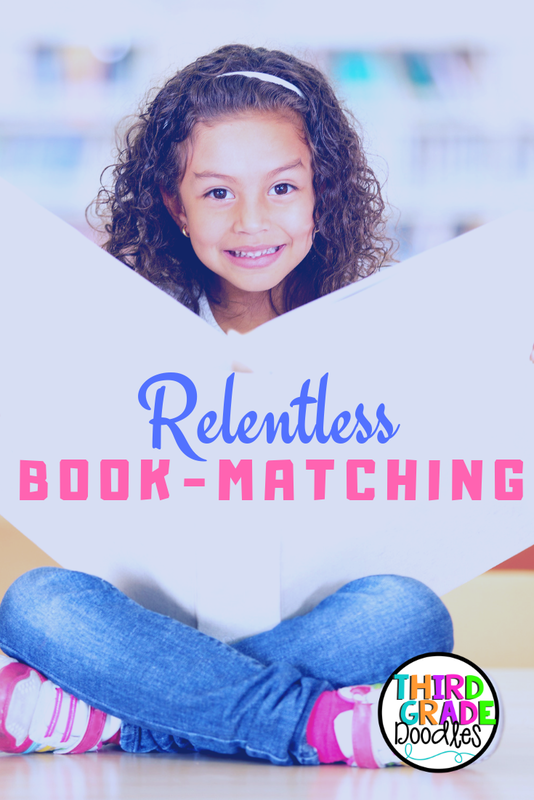 These are just a few ways to match readers with great books! Once a student finds the right books and discovers the magic of reading...they will be hooked forever. A teacher that is skilled at helping them to find the perfect books is a critical piece of lasting reading engagement.